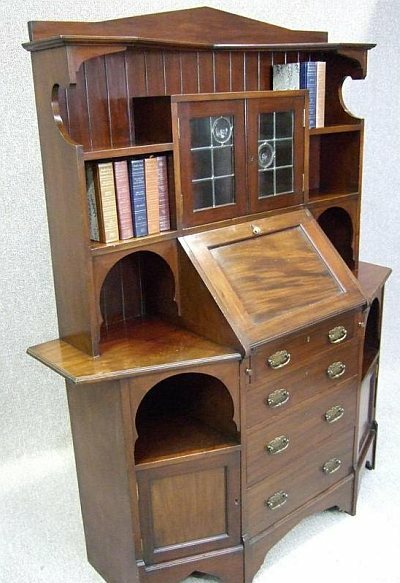 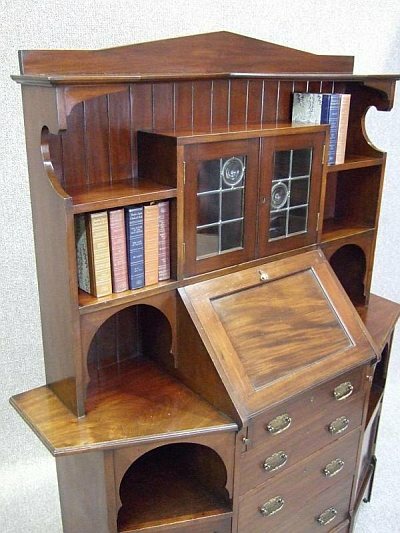 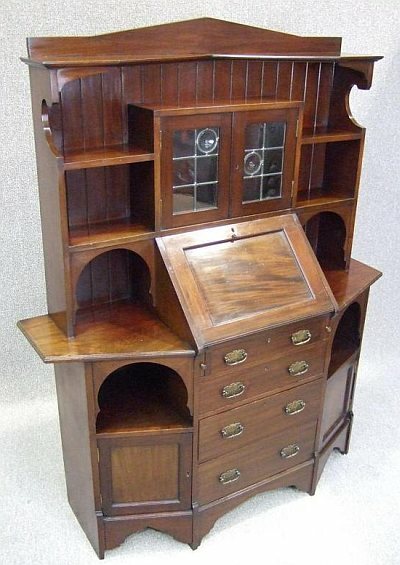 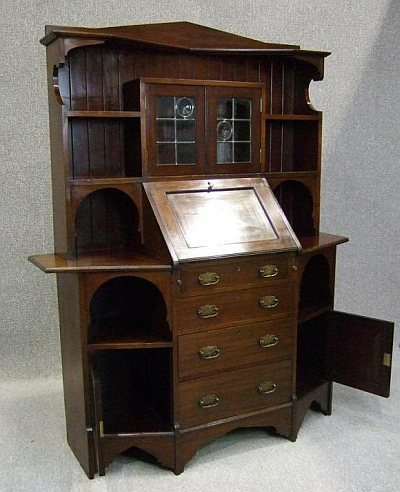 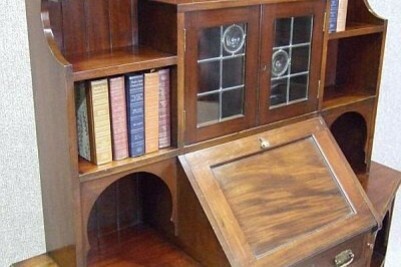 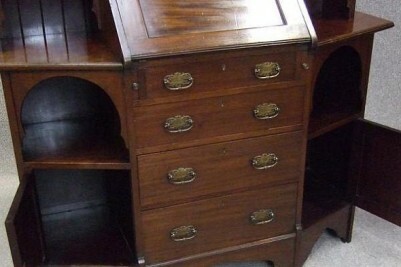 An unusual, circa 1900, Mahogany ladies bureau bookcase. 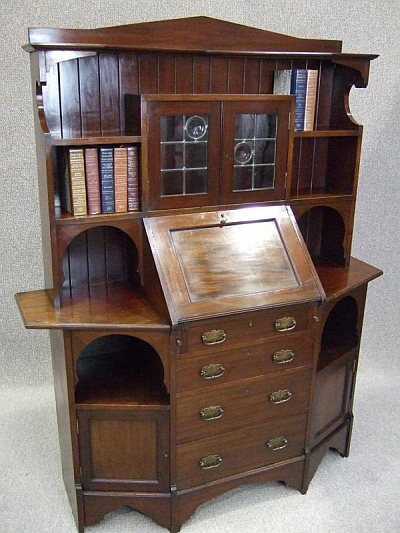 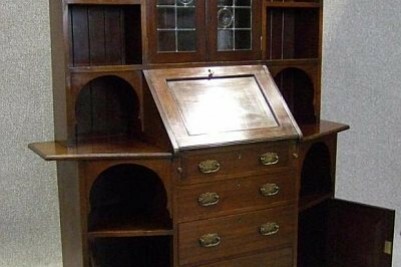 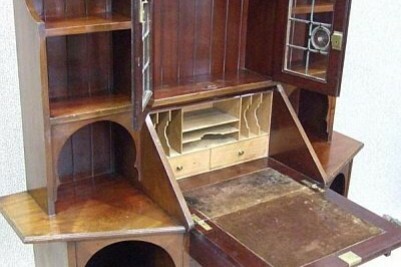 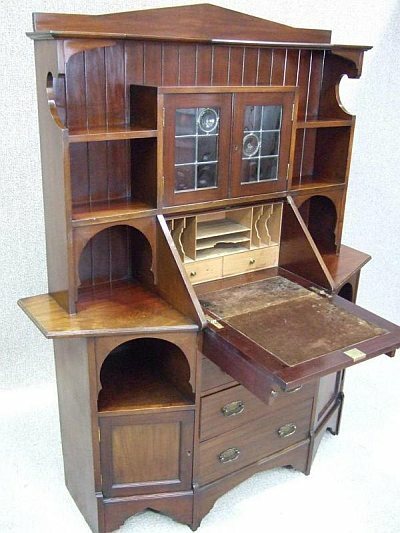 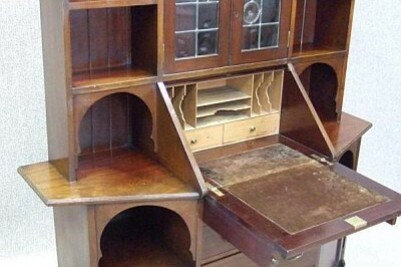 With a typical Art Nouveau styling, this bureau features an array of various shelves and cupboards, with central glazed doors; fitted with bulls-eye glass. 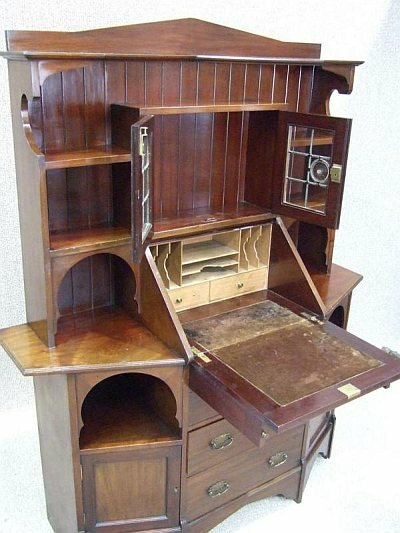 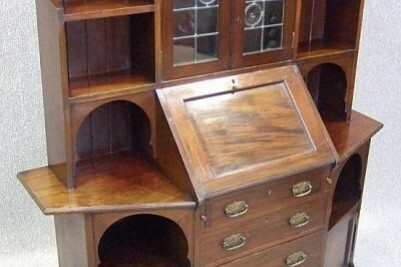 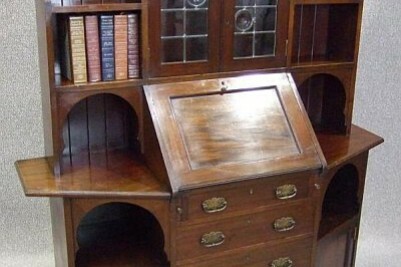 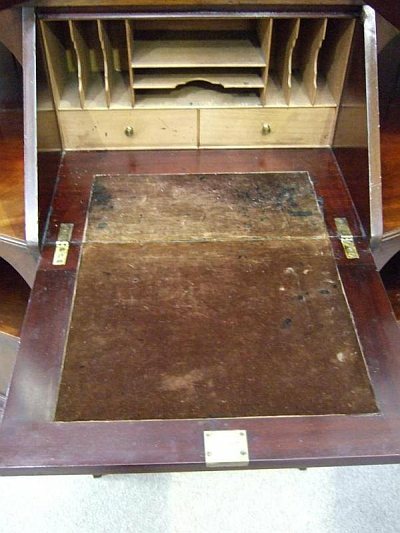 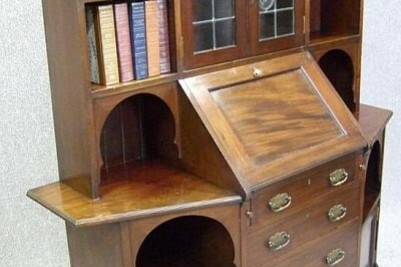 It has a traditional drop down writing slope, and a cedar wood fitted interior. 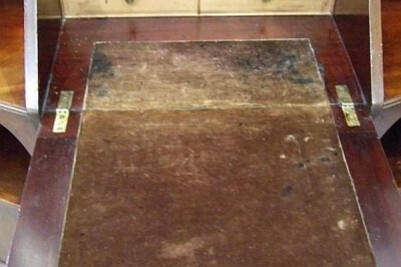 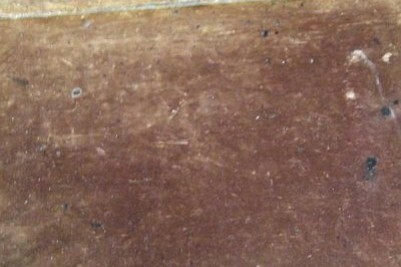 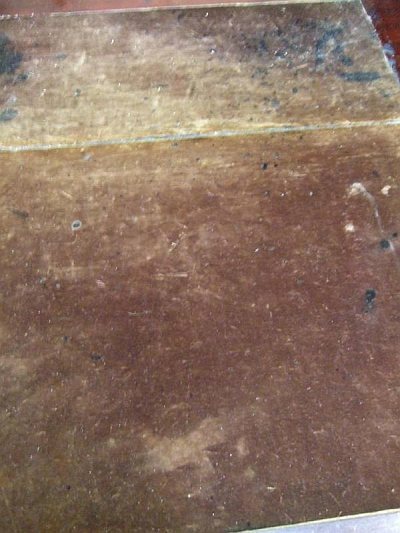 The writing area is covered in traditional velvet covering, which as the photos show, has had some wear and tear during its lifetime. 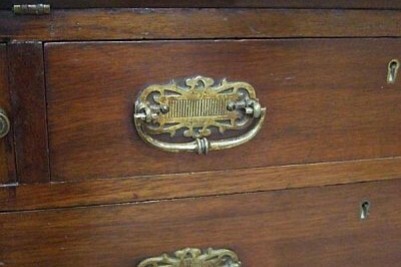 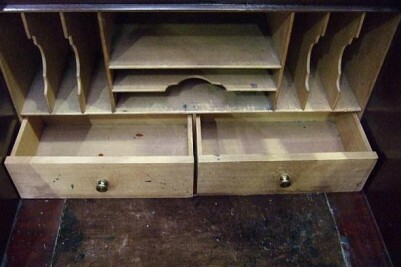 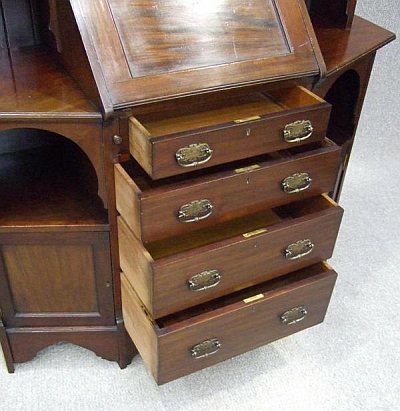 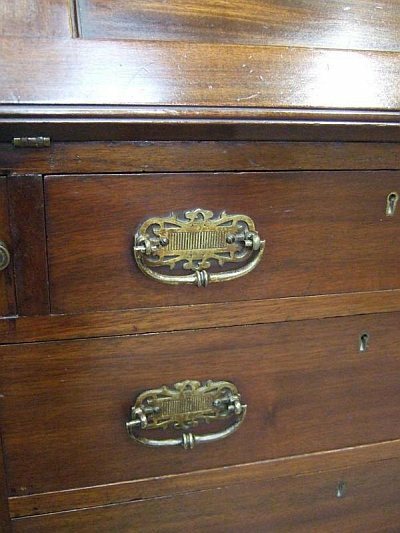 This piece contains two stationary drawers and various compartments for letter, paperwork etc. 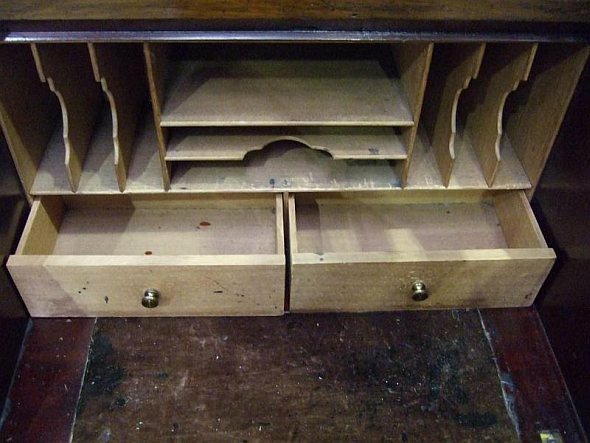 All of this storage space is positioned above a graduated bank of drawers, making it an extremely practical and useful piece of furniture for any period property. 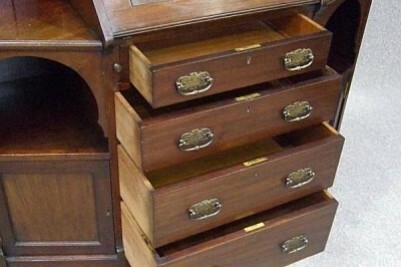 Sadly, we do not possess the original keys for this piece. 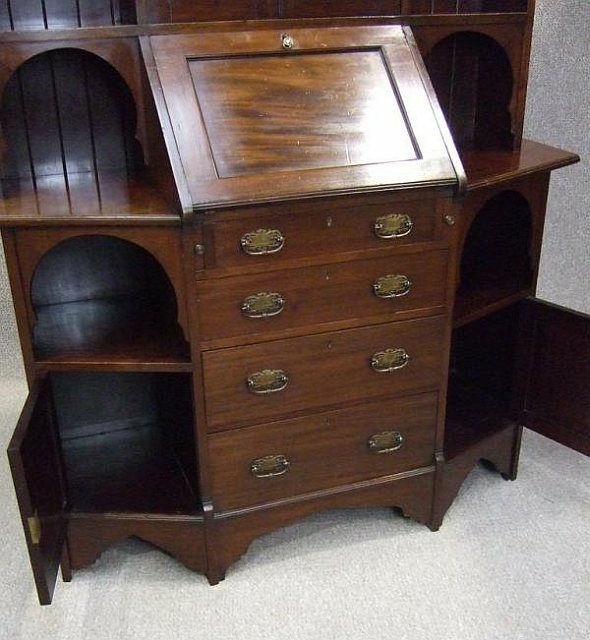 This item is in lovely condition for its age, with just the normal wear and tear of a piece dating from the late Victorian period.